This is 100% rayon vintage picot trim, 1/8", black only 15 yard cuts. Vintage, 1/16", Twisted cord, Chenille, Gold wrapped multi colored, Gold, Rose, Blue & Green cord. 10 yds. This is a Vintage rayon trim. Ivory, 3/16" wide, 15 yard cuts. Older 100% Rayon braid, White, 1/4" wide 5 yard cuts. This is a beautiful Antique lace. 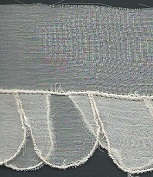 It's pastel & ecru embroidery on ecru net. 1 yard cuts. 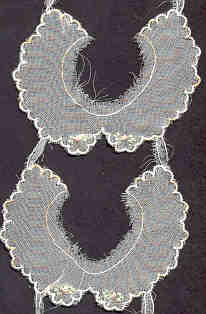 This is a beautiful French, 100% SILK insertation lace , 2 1/2 inches wide, ivory color, 1 yard cut. This is a very interesting Vintage Lace, 100% cotton, 1 inch wide, ivory color, 3 yard cut. 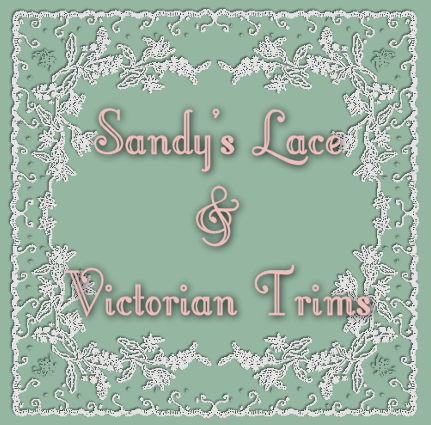 This is a vintage lace,100% cotton, ecru, 1" wide, 5 yard cuts. This is a vintage lace, 100% cotton, white, 2 yard cuts. 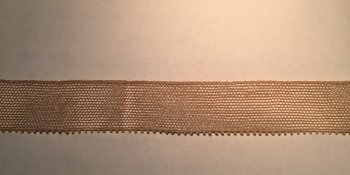 This is a vintage lace, 100% cotton, 3/4" wide, Rosey Beige, 5 yard cuts. 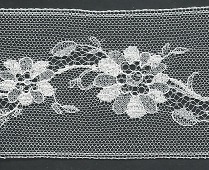 This is a vintage lace, 100% cotton, ivory, 1/2 inch wide, 3 yard cuts. 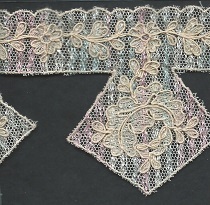 This is a vintage lace, 100% cotton, 1 inch wide, Rosey Beige color, 5 yard cuts. This is a Vintage Lace 100% cotton, 3/4" wide, rosey beige, 5 yard cuts.